ChannelApe now supports API Accounts. API Accounts are a new feature that will allow outside developers to integrate with ChannelApe’s platform without having to create a regular user to use as the API account. To set up an API Account for your business, navigate to the new Settings page. Here, you will be able to manage the Accounts that have access to your business’s data. 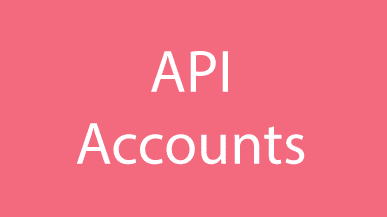 Create an API account by clicking the ‘create’ button in the API Accounts section. All you need to specify is the name. Once you create it, then you will be shown a private key. Save or copy this because it only is shown once. The private key is then used in API requests as the value of the ‘X-Channel-Ape-Authorization-Token’ header.